For the sixth year running, women around the world will be taking part in a peaceful march to raise awareness for those who have endometriosis. 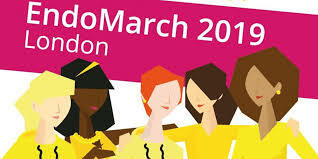 The London leg of the EndoMarch will take place on Saturday 23 March with the hope of publicising the need for faster diagnosis, greater education and more funds for research into better treatments and an eventual cure. This entry was posted in endometriosis, fertility and tagged EndoMarch London, Endometriosis, endometriosis diagnosis, fertility by fertilitymatters. Bookmark the permalink.